Devart is always trying to keep in touch with the times and provide its users with more and more opportunities for successful and effective databases management. That is why we have released a new version of dbForge Studio for SQL Server v.5.6 with the changes aimed at supporting the latest technologies in the world of database development. 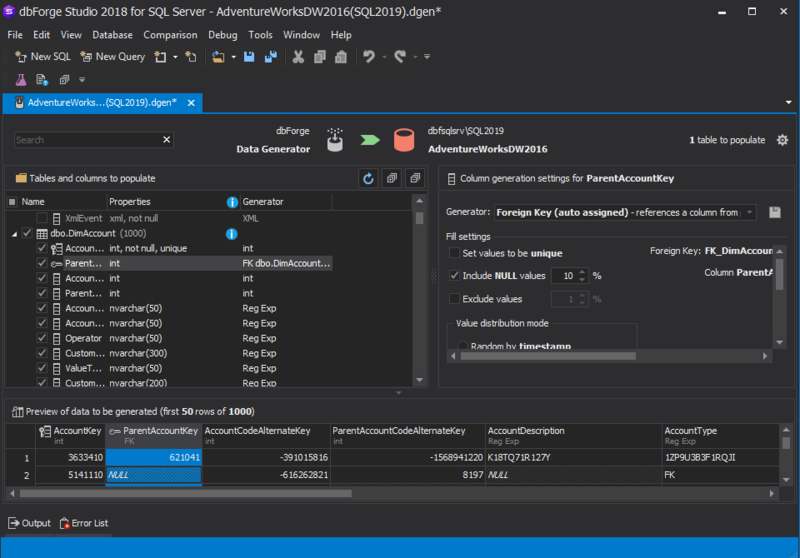 The latest dbForge Studio for SQL Server update includes full support for the SQL Server 2019 for the most efficient and fast work with databases. Our tool now provides users with the ability to generate values for a group of unique table columns. We invite you to try the new version of dbForge Studio for SQL Server and share your thoughts about the tools with us. 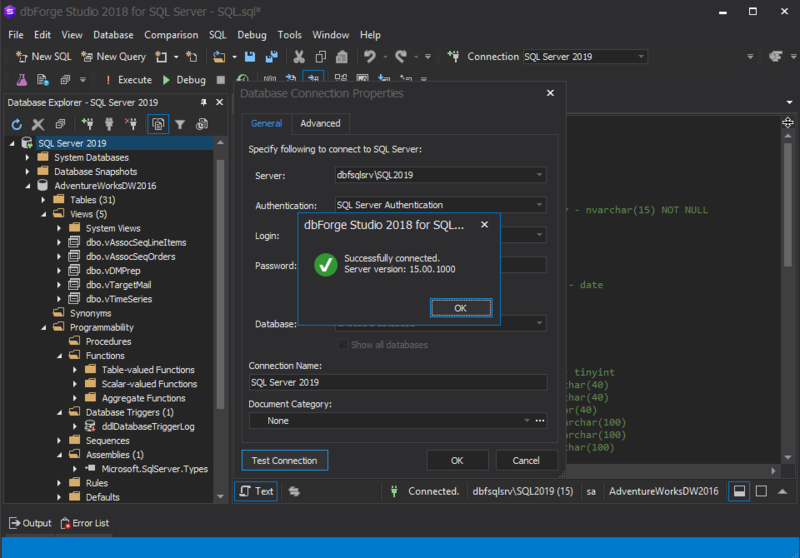 This will help us to make dbForge Studio for SQL Server better for you.